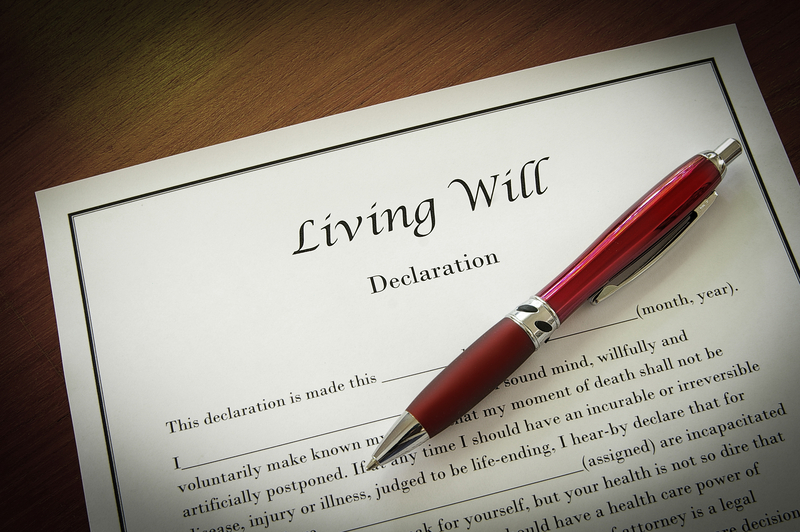 Estate planning is all about preparing for the future—not only death but also the possibility of medical incapacitation. Accident or injury may leave you in a state where you can’t make your own health care decisions. But through a living will, your wishes can still be known. The guide below explains what this document should contain. What Should a Living Will Cover? If your heart stops beating, do you want a paramedic or physician to attempt to restart it, whether through cardiopulmonary resuscitation or by an electronic device? While these measures are often life-saving, some patients suffer brain damage while unconscious. Others with progressive diseases may fear that their quality of life will only continue to decrease and, thus, prefer to let their body follow its natural course. If a medical condition inhibits you from feeding yourself, a tube can be used to supply your body with the necessary nutrients. However, some people dislike the thought of this device being implanted in their throat and choose to forgo it. If your kidneys can no longer function on their own, dialysis can be employed to help you eliminate waste, as well as to manage your fluid levels. Use your estate planning documents to dictate how long doctors should employ this method, if at all. A mechanical ventilator can provide a person’s body with oxygen in the event they can no longer breathe on their own. And yet, in the case of brain death, some dislike the thought of lingering on without the ability to think or communicate. Finally, your estate planning documents should include your wishes about the administration of pain management solutions, including pain pills. Talk to a doctor so you know the full scope of drugs and situations that this covers. Don’t delay estate planning. Get expert legal counsel from The Law Offices of Bromm, Lindahl, Freeman-Caddy & Lausterer, a firm with more than 100 years of service to the Wahoo, NE, community. Their dedication to their clients is evident in their AV® Preeminent™ rating from Martindale-Hubbell. Schedule an appointment today by calling (402) 443-3225 or visiting their website.